Looking to impress you neighbors this year? We have you covered! Green Leaf Lights has the professionals and the right team to hang up those Tulsa holiday lights for you! We connect you with the trained light technicians and designers that can create the perfect holiday atmosphere for you home or business. What do you have to do? Call today! Don’t over-stress this Christmas. Let the professionals and the quality service team hang up those lights for you before December 25th. Call at 918-437-0333. Green Leaf is known for our quality service as a company. 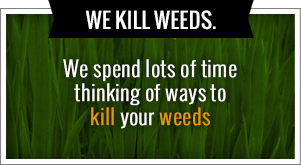 In the warm seasons we provide lawn care, weed control, landscaping and more. During the fall we provide leaf removal service and make certain your lawn looks ideal. But what about the holiday season? Well our team here at Green Leaf put away the mowers and weed whackers. We strapped on our red suits and deliver quality service to every home owner looking not to over- stress this Christmas. We hang up those ever so pain-in-your-rear Tulsa holiday lights. We do all the work for you while you enjoy a cup of hot coco! Don’t let the holidays stress you out this year! Green Leaf connects you with the best trained lighting technicians and designers who can have your house sparkling like a Christmas tree. We are the light professionals and installation company that meets your needs every time. We arrive at your home on-site. We take measurements, speak with the owner and give you a free home estimate. There is no reason to stress about the lights this holiday season! 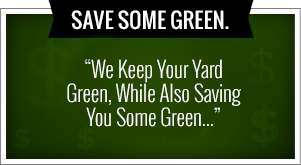 Contact Green Leaf today! Your list gets longer and longer as Christmas gets closer and closer. Clean the house, buy the gifts, find the tree, trim the tree, make a fire, book the hotel for in-laws, wrap the gifts, and put up the lights. But who wants to put up the lights? Crawling through your dark and dusty attic. Searching for the half chewed box with a wad of tangled Tulsa holiday lights. Than you have the joy dangling from your roof and trying to get the lights straight. Why go through all the hassle and stress? Hire the professionals. Hire Green Leaf Lights. Call us today at 918-437-0333 or visit us online to find out more! We give every home owner a FREE home estimate even if you decide not to go with us. We want to take away the hassle and make your life easier this Christmas. Make sure that your home shines this holiday season. Make sure that you choose the number one service provider for lighting and holiday magic. Santa’s elves? No, the next best thing. Contact Green Leaf Lights today. Looking for the Best Holiday Light Installers in Tulsa? Don’t over-stress this Christmas! Hire the best and most qualified lighting installers to put up your Tulsa holiday lights this year. Green Leaf can connect you with the trained lighting technicians and designers who can turn your home into a Winter Wonderland. Garland, wreaths, lights and more! Choose the professionals to decorate your home for the holidays. We are ready to help out during the holidays and get your property looking like Christmas! Call our team today at 918-437-0333 or visit us online today. I thought Green Leaf did lawn care service? Right you are! During the warm seasons we provide the top weed control, lawn care service, mowing, weed whacking, landscaping and more to get your lawn looking great. During the Fall we offer leaf removal and get your lawn cleaned up quick. But during the holiday season, we hang up our green shirts and put on the red suit. What are we delivering? Quality service and Tulsa holiday lights to home owners across the city. We turn your house into a Winter Wonderland with the top designers and lighting installers. We over deliver service and provide free estimates on lighting your house. Why hire light installers? Time. Time seems to shrink as the holidays get closer and closer. Your list grows 3 times the size and your hunting down those last remaining Christmas gifts. Oh the tree! You have to hunt down the perfect tree. Not only the right shape and height, but you have to sure that it fits through the door. Book the hotel for in-laws, trim the tree, wrap the gifts, shovel the driveway and on and on. Our lighting crew saves you time! We get those Tulsa holiday lights up and looking perfect. Creating a holiday atmosphere is what we do. We also provide great lighting for holiday parties in Tulsa. Our number one goal is to connect you with the ideal and the most experienced party lighting professionals that you have been searching for all of the city. We provide free estimates on lighting up your corporate function or your holiday event. We want to make sure that this party is going to be something to remember for many Christmases to come. If you have any questions for Green Leaf and how we can put up your Tulsa holiday lights this season please give us a call. We are excited at the holidays are getting closer and we want to make sure that you have a great season this year. There’s no reason to overstress this Christmas when you allow the Tulsa light professionals turn your home into the ideal Winter Wonderland. We take over putting up your lights for your household and we create the perfect holiday atmosphere. The best part is you don’t have to lift a finger. Call us today.